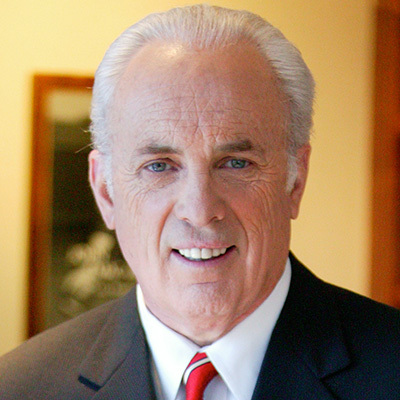 John MacArthur is the pastor-teacher of Grace Community Church, as well as an author, conference speaker, president of The Master's University and Seminary, and featured teacher with the Grace to You media ministry. In 1969, after graduating from Talbot Theological Seminary, John came to Grace Community Church. The emphasis of his pulpit ministry is the careful study and verse-by-verse exposition of the Bible, with special attention devoted to the historical and grammatical background behind each passage. Under John's leadership, Grace Community Church's two morning worship services fill the 3,500-seat auditorium to capacity. Several thousand members participate every week in dozens of fellowship groups and training programs, most led by lay leaders and each dedicated to equipping members for ministry on local, national, and international levels. In 1985, John became president of The Master's University (formerly Los Angeles Baptist College), an accredited, four-year liberal arts Christian college in Santa Clarita, California. In 1986, John founded The Master's Seminary, a graduate school dedicated to training men for full-time pastoral roles and missionary work. John is also president and featured teacher with Grace to You. Founded in 1969, Grace to You is the nonprofit organization responsible for developing, producing, and distributing John's books, audio resources, and the “Grace to You” radio and television programs. “Grace to You” radio airs more than 1,000 times daily throughout the English-speaking world, reaching major population centers on every continent of the world. It also airs nearly 1,000 times daily in Spanish, reaching 23 countries from Europe to Latin America. “Grace to You” television airs weekly on DirecTV in the United States, and is available for free on the Internet worldwide. All of John's 3,000 sermons, spanning more than four decades of ministry, are available for free on the Grace to You website. Since completing his first best-selling book The Gospel According to Jesus in 1988, John has written nearly 400 books and study guides, including Our Sufficiency in Christ, Strange Fire, Ashamed of the Gospel, The Murder of Jesus, A Tale of Two Sons, Twelve Ordinary Men, The Truth War, The Jesus You Can't Ignore, Slave, One Perfect Life, and The MacArthur New Testament Commentary series. John's titles have been translated into more than two dozen languages. The MacArthur Study Bible, the cornerstone resource of his ministry, is available in English (NKJ, NAS, and ESV), Spanish, Russian, German, French, Portuguese, Italian, Arabic, and Chinese. John and his wife, Patricia, live in Southern California and have four married children: Matt, Marcy, Mark, and Melinda. They also enjoy the enthusiastic company of their fifteen grandchildren.